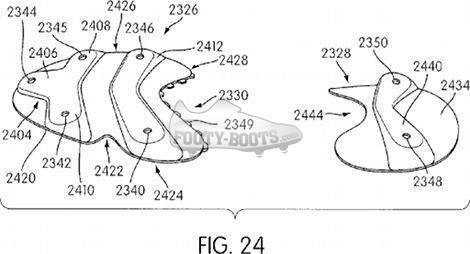 A recent patent has revealed Nike are considering a TUNiT-style approach to the soleplate for their future football boots, potentially re-energising the concept of customised boots after adidas ditched their system on the adiZero. 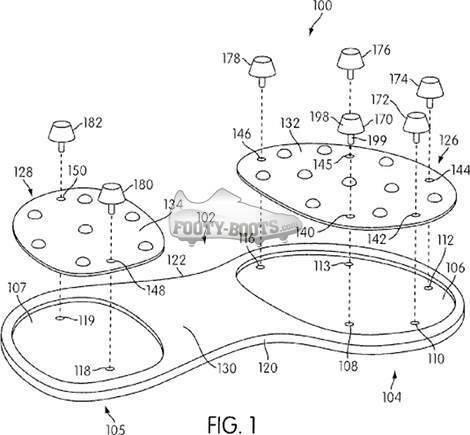 The patent – which was updated at the end of May – hints that Nike may well be looking to revamp their whole athletic shoe range, with football boots being prominently mentioned, using what are being dubbed as outsole ‘pods’ that are held to the rest of the shoe with the studs themselves. The idea is that after buying a pair of new football boots, you can change the ‘pod’ and studs on the bottom to accommodate a different configuration. 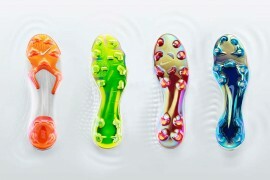 Whilst the most obvious use for this is to allow a player just to buy one pair of football boots a season, and then use different Pods to depending on firm ground, soft ground or artificial turf, we think Nike’s penchant for customised soleplates may help them bring a level of boot personalisation to the masses that has previously only been reserved for professionals. 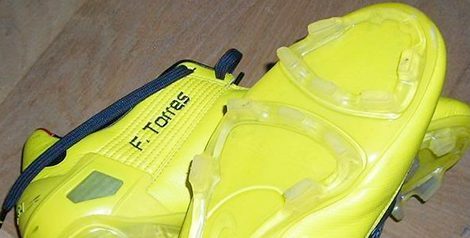 Many of Nike’s biggest stars, including Fernando Torres, Jack Wilshire and Cesc Fabregas have been known to play in a variety of different soleplates to those available on store shelves. Made famous on early T90’s, it’s a highly regarded stud configuration amongst Nike fans, who might well be willing to shell out extra providing they can get their beloved soleplate back – especially if they can transfer it between all the Nike football boots in their kitbag. How is it Different to the TUNiT System? A classic Nike SG soleplate, with two more, increasingly versatile ‘pods’. 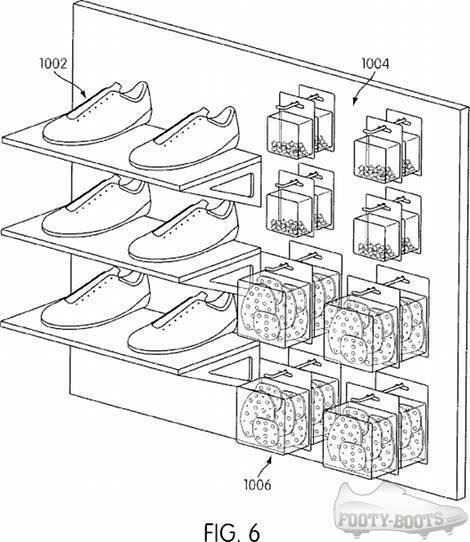 Looking further into the patent, Nike namechecks the likes of adidas and American brand Wilson, identifying the similarities between the systems they have used in the past and the ones that Nike are proposing. Essentially meaning that whilst adidas TUNiT studs were distinctly designed for' TUNiT football boots and chassis, the Nike pod system remains distinct from any single line of Nike footwear – thus is different to competitors by it’s versatility. Nike’s retail vision for the Pod sole system. 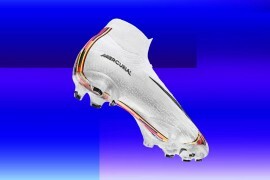 An invention like this sounds exceptional, in a time of rising football boot prices we could see each purchase being now almost doubling in value to the customer – if not tripling if you could get a HG/AG/AT ‘pod’ you could wear for training as well. 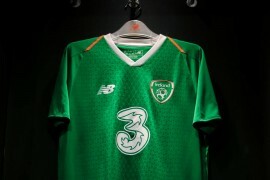 However, this could potentially change the way that Nike distribute their football boots. First of all, a soleplate of this design would certainly limit the effectiveness of the Nike Elite Series – if not cause Nike to re-think the line all together. Why make an ultra-light pair of football boots if the consumer can stick a heavy set of studs on them? 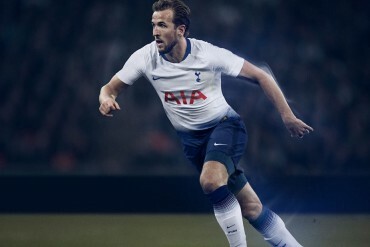 Perhaps in the future the Elite Series will be the ‘pure’ form of Nike’s football boots, where they won’t include the Pod system for the sake of weight. Another area this could effect would be takedown models; one of the main things that differentiate Nike’s range is the soleplate – it will be very interesting to see how the lower-priced parts of Nike’s range are treated, should this reach production. We may never see this concept hit store shelves, but we know your mind is already considering the possibilities of what this could mean for the football boots market! So, if you’ve stuck with us this far, you’re obviously the sort of well informed, supremely dedicated – not to mention devilishly handsome – person whose comments could really capture the imagination on a piece like this. So why not get involved and leave one below? 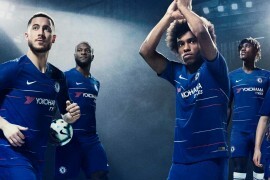 If Nike could pull this off with a quality product and with what is becoming important in modern day life, a decent price tag, it really could change modern boots for a long time. Great article! This is the sort of thing I love to see and what makes Footy-Boots so great. First of all nice work on picking this up in the first place. The real issues with this concept though is making it more effective/efficient than the TUNiT system which I consider a bit of a failure. 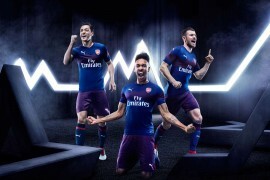 However knowing Nike it would most likely be accompanied by a hefty price tag. The “football” they are talking about in the patent is American football. The toe stud is a dead giveaway. We definitely agree that American football is the more likely market for a product like this, where college level athletes have to switch between AG turf for training and FG for playing. 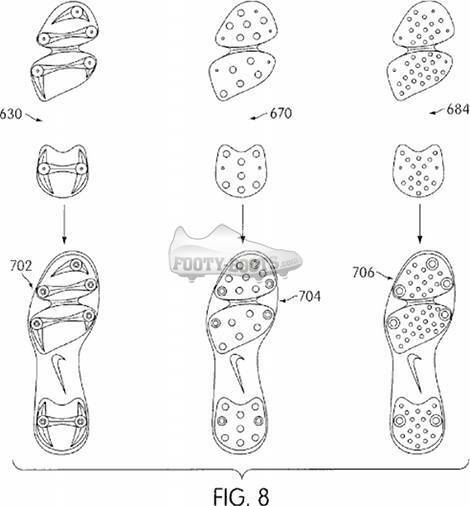 The toe stud is mentioned in the patent and does apply to American Football, however the patent also references soccer and other sports, golf, baseball and so on – like I mentioned in the article this is a brand-wide initiative, applicable to any sport with a studded/bladed/cleated shoe – so there’s no telling what Nike will end up doing with it! Would definitely be exciting to see come to Football though, don’t you think? This could mean a big turnover for Nike, specially in undeveloped countries like here in Brazil where people can’t afford to buy two or three pairs of football boots per season. I have a hunch that, regardless of gridiron or footy, Nike will use this technology in both arenas once it’s sorted out. I also doubt that it will be as “cost friendly” as people are supposing. Â It won’t cost as much as three pairs of boots, but it won’t be far off! Â History says savings – if that’s why you’re going with this system – will be nominal. Things like this always tend to be gimmicks to increase sales of paraphenalia.Â I have been around the football world long enough now to remember some of these things.Â Anyone recall the “FX System” that adidas debuted in the 80’s, or the fact that you used to be able to buy Puma boots with ceramic studs, or even the fact that Patrick boots would only take Patrick replacement studs? This seems another clever Nike marketing campaign and somehow i doubt that it will last that long, but that is just my humble two cents…..
Screw in studs are nothing new to many sports, including Track and Field. 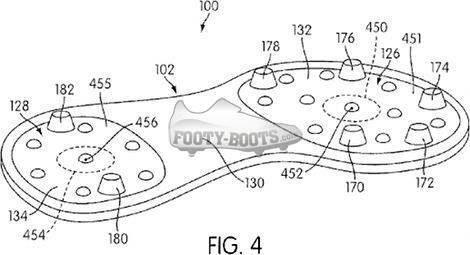 Most likely, this will be for American football, because the studs are only useful for traction in that sport.